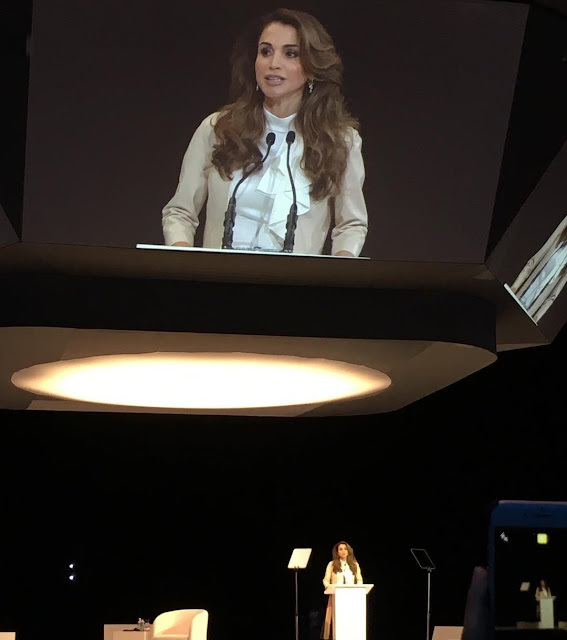 Queen Rania of Jordan attended the opening of the Global Women's Forum on February 23, 2016, in Dubai. 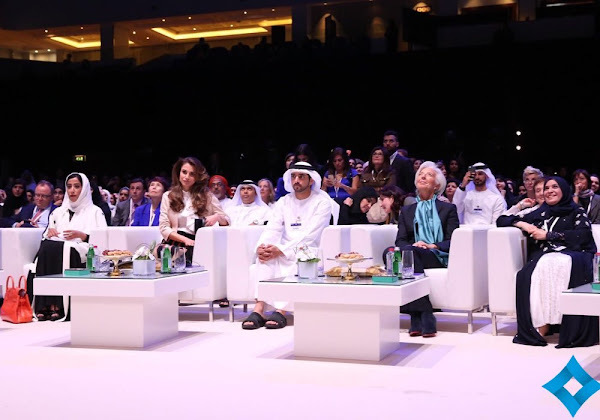 The Global Women's Forum is an international platform looking at major social and economic issues from women's perspectives. The Women's Forum was modeled on the World Economic Forum, which takes place in Davos. Ansonsten schöne Garderobe von Rania. She looks amazing as sual! Love her midi skirt. I am not meaning to be rude, but that is just too much hair. It makes her look like one of those aging Hollywood ladies - to whom she is far classier.